CORRALITOS — A wildfire that charred hundreds of acres in the Santa Cruz Mountains in October sparked from a hazard-reduction burn a Cal Fire inmate crew had been conducting in the area, Cal Fire officials confirmed Wednesday. The Loma Fire started Oct. 25 and burned 485 acres along the Santa Cruz-Santa Clara county line. Even before the blaze was controlled, a Cal Fire commander said that a brush-thinning project conducted by an inmate work crew that he was supervising along Summit Road in rural Santa Cruz County could have caused the wildfire. Wednesday, Cal Fire officials announced that a hot ember blew out of the project and ignited nearby vegetation, starting the wildfire. The blaze destroyed or damaged a mobile home, four recreational vehicles, seven outbuildings and one vehicle, and cost $4 million to control. The seven-month probe ruled out all other causes, such as lightning or a smoldering cigarette, before settling on the inmate crew's work in the area. Deto, 46, still lives on the mountain, but said he suffers flashbacks from driving his daughter, now 9, through flames to safety when the fire broke out. He said he is struggling to get by and the prolonged investigation frustrated him. “In the meantime, my life is still totally destroyed and it's very difficult,” said Deto, who has not been compensated by the state for what he lost in the Loma Fire. Cal Fire forwarded the investigation results to the Santa Clara County District Attorney's Office this month to decide if anyone will face charges for causing the wildfire, according to Berlant. “Even though we've been able to determine the actual cause of the fire the circumstances leading up to it remain under investigation,” Berlant said. A spokesman from the D.A. 's Office did not return calls Wednesday. The supervisor, Cal Fire Battalion Chief Darrell Wolf of the agency's Santa Clara unit, still works for Cal Fire, Berlant said Wednesday. Wolf was in charge of the thinning project, which occurred nine days before the Loma Fire erupted. High winds fanned the embers — which came from one of the at least 30 piles of dead brush and other vegetation near the intersection of Loma Chiquita and Mount Madonna roads — and created a fire storm that tore through grass- and chaparral forest-covered hillsides early one Sunday. The brush piles, some 4 feet high, burned as recently as four days before the wildfire ignited. A Cal Fire engine had been stationed on Loma Chiquita Road, a one-lane gravel route that veers off Summit Road and into Santa Clara County, each day to douse the controlled burns with water. At the time, Deto said he had seen embers glowing from unattended brush piles on the hillside during the early-morning hours days before Loma Fire broke out. And even while the Loma Fire was still burning, Wolf acknowledged that some of the embers may not have been extinguished and potentially could have started the wildfire. “We are reviewing our operating procedures for hazard projects like this one,” Berlant said, adding that Cal Fire also was conducting an internal investigation into the Loma Fire. Berlant did not know Wednesday if Cal Fire crews had been blamed for causing wildfires in the past. The Loma Fire burned not far from where Summit Fire scorched 4,270 acres and destroyed dozens of homes in May 2008. The Summit Fire was traced back to a land-clearing project overseen by Los Gatos contractor Channing Verden. He was arrested and charged with one count of causing a fire that caused an inhabited structure or property to burn. He faces seven years in prison if convicted. San Francisco police and firefighter union officials reached tentative deals Tuesday to forgo pay raises as Mayor Gavin Newsom seeks concessions from all city workers to help bridge a historic budget deficit, officials said. The firefighters' agreement calls for union members to give up at least 8 percent in planned wage increases over the next two years, which will save more than $18.5 million in base wage and overtime costs over that period, said Martin Gran, head contract negotiator with the Department of Human Resources. "It was obviously time for every city worker to step up," said Tom O'Connor, president of the firefighters' union. "These are dire economic times, and the firefighters have always done their part." In 2007, when Newsom was running for a second term as mayor, he negotiated a 23 percent pay increase for police and firefighters spread over four years. Details of the tentative deal with the Police Officers Association were not immediately available, but officials said it was similar to the firefighters' pact. The police agreement is projected to save the city roughly $27.6 million over two years, a source familiar with it said. Both agreements must still be ratified by union members. No firefighters or police officers are planned to be laid off, Newsom spokesman Tony Winnicker said. "Ensuring public safety is one of the most essential functions of local government," Winnicker said. "Our police and firefighters are stepping up to save jobs and front-line services." Supervisor John Avalos, chairman of the Board of Supervisors' budget committee, commended the union leadership while warning the grim budget outlook would be even bleaker without the labor givebacks. ''It's great to hear that they are joining with other city employees to make concessions," he said. "There are a lot of critical services that are on the chopping block." He urged Muni drivers to do their share, too. If rank-and-file police and firefighters endorse the deals, that will leave the Transport Workers Union Local 250-A, which represents Muni operators, as the only labor group that hasn't reached a deal on concessions as San Francisco seeks to close a $483 million budget gap for fiscal year 2010-11. "That puts more pressure on TWU," said Newsom, who must submit his budget to the Board of Supervisors next week. Board of Supervisors President David Chiu said he appreciates the contribution from police and firefighters, should the plan be approved. However, Chiu said, he will await the mayor's overall budget proposal due out Tuesday before determining whether the tentative deal goes far enough. "We need to make sure that the budget is balanced fairly across all departments and all unions," Chiu said. The police and fire concessions - with pay cuts roughly amounting to 4 percent or more a year - are similar to givebacks already agreed to by more than two dozen city unions, the mayor's office said. Those unions agreed to take 12 unpaid days off a year for two years, amounting to a 4.62 percent pay cut and would allow the mayor to cut up to 500 city employees from a workforce of about 26,000 full-time employees by June 30. The city also is requiring 10 percent cuts in managers' salaries and pay cuts within the mayor's staff at least commensurate with what unionized city workers are facing, officials said. Newsom has called on all department heads to also take a 10 percent pay cut and has taken a 15 percent pay cut himself, as has his chief of staff, Steve Kawa, Winnicker said. Muni operators, whose wages are protected by the city charter, are set to receive a nearly $9 million raise July 1. The union leadership agreed to givebacks in February, but the plan was rejected by its membership. "TWU has demonstrated a remarkable commitment to themselves, not their riders," Newsom said. Talks with the union are continuing. 5/21 UPDATE 1730 PM: McKinley Fire (UPDATE), east of Corona (Riverside County), is now 100% contained to 1,028 acres. 5/21 UPDATE 0730 AM: 900 ACRES, 70 percent contained, full containment expected tonight at 6:00 PM.UPDATE 08:34 PM: 50 percent contained. UPDATE 5:37 PM: Fire is 800 acres, 10 percent contained. Burning toward rock quarry and Cajalco Rd. UPDATE 5:00 PM: Fire's cause has been determined to be equipment mowing. Fire is currently 500 acrews updated potential is 1,000 acres. The fire is currently burning in a drainage headed toward Cajalco Road. One minor ankle injury to a firefighter. Hemet police arrested a woman early today suspected of broadcasting threats at police on emergency radio frequencies. Irene Marie Levy, 29, of San Jacinto was arrested at her mobile home in the 900 block of S. Grand Avenue on suspicion of criminal threats. Police said Levy, who is a Ham Radio technician, made bomb threats and referenced the death of police and firefighters. Levy disguised her voice as a man while operating her radio and broadcasting on Cal Fire and Hemet police frequencies from Saturday night until she was arrested early Monday, Hemet police Sgt. Mark Richards said in a report. The threats came as firefighters were responding to a brush fire near Beaumont and conducting a search and rescue call. The threats also interrupted a fatal traffic collision in Hemet on Saturday night. A bomb threat was radioed in early Sunday. Riverside County fire communications officials used direction finding equipment to triangulate the transmissions, but they were initially untraceable because the threats were made sporadically. Riverside police were notified Sunday to track the signals. Sunday evening, "Levy boasted that the police would never find her," Richards said. Hemet police, Cal Fire and Riverside police arrested Levy early Monday following a recently completed threat on a Hemet police frequency. At the home police found 11 radios, seven frequency scanners, frequency lists, computer equipment and Levy's Ham radio technician's license issued by the FCC in September 2009, Richards said. Levy was booked at the Larry Smith Detention Center in lieu of $25,000 bail on suspicion of making terrorist threats, falsely reporting a bomb threat and maliciously interrupting, disrupting, impeding, or interfering with a transmission of a public radio frequency. CAL FIRE will also be using the week to highlight the importance of the homeowner’s role in preparing their property and families ahead of time to survive a wildfire. the role homeowners have in being ready for a wildfire. Being Ready for a wildfire starts with maintaining an adequate Defensible Space and hardening homes by using fire resistant building materials. 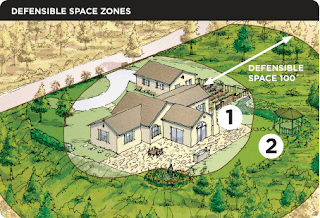 Fire officials firmly believe that it is the combination of both Defensible Space and the hardening of homes that give a house the best chance of surviving a wildfire. aware of the threat wildfire poses every day,” said Chief Del Walters, CAL FIRE director. increases from spring through late fall, threatening lives, property and the environment. safety and how to be better prepared in an emergency situation. Monday, May 3: Press Conference, CAL FIRE Aviation Headquarters, Sacramento at 1 p.m.
Tuesday, May 4: Press Conference, Crafton Hills area, Yucaipa at 10:30 a.m.
Wednesday, May 5: Press Conference, CAL FIRE Fresno Headquarters at 11 a.m.
Wednesday, May 5: Media Availability, CAL FIRE Redding Air Attack base at 8 a.m.
Thursday, May 6: Press Conference, San Mateo County at 11 a.m.
Thurs, May 6: Media Availability, Fire Crew Preparedness Exercises, Paynes Creek, 11 a.m.
For more information on the event, visit www.fire.ca.gov. Newark Fire Department celebrated 100 years of service yesterday, then disbanded and merged into the Alameda County Fire Department. Chief of the Alameda County Fire Department, and more equipment is immediately available if needed. Frequency changes: Newark was already on the Alameda County 800MHz trunked system,. Their dispatch, was shifted to the Alameda County Regional Emergency Communications Center (ALCO) yesterday and their dispatch talkgroup was switched to Control 1, the same talkgroup that City of Alameda, Fremont, and Union City share. ICS numbers: Their engines have been redesigned from the 70-series "Newark" numbers to 20-series "Alameda County" numbers. Response changes: The first due ALCO truck company to Newark will come from San Leandro instead of neighboring city of Fremont, Fremont would respond to 2nd alarm mutual aid with chief officer, 2 Engine's and a ladder truck. Alameda Fire will continue to grow as Union City Fire once again dissolves and joins ALCO starting July 1 2010.